This large county is home to amazing wildlife, beautiful scenery and vibrant modern cities. South Africa offers such a wide and diverse range of landscapes, each offering unique and rich travel experiences. However, as the 25th largest country in the world, it can be incredibly hard to choose just one destination. Whether you wish to experience vibrant cities or the country’s wildlife, here are the best destinations to visit. This southern city offers something for every kind of traveller. As the country’s second most populated city, Cape Town boasts a variety of attractions and must-see sights. 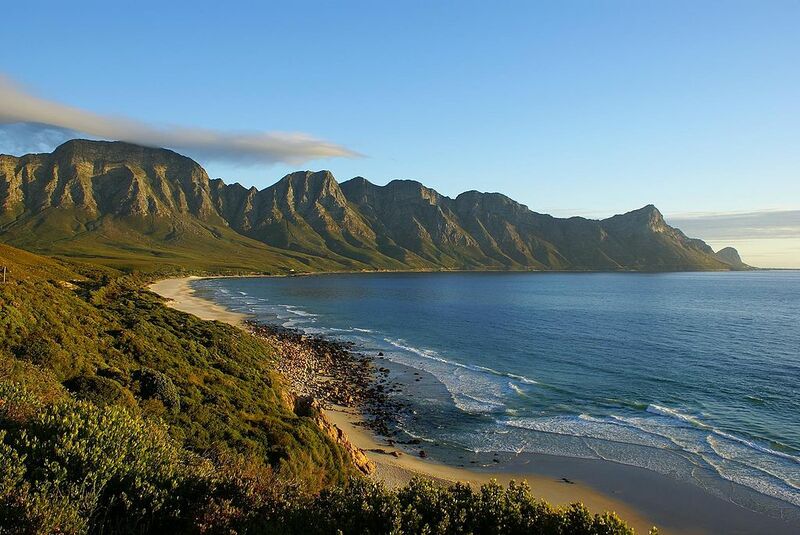 Bordered by the Indian and Atlantic oceans, you’ll find a vibrant and bustling city that also boasts incredible wildlife, diverse plant life, tropical white sandy beaches, incredible food and a wealth of luxury hotels. A must see here is the Table Mountain. This flat landscape offers spectacular views of Cape Town. If hiking is not your thing, you can ascend via cable car. Located to the north of the country, Kruger National Park is the biggest nature reserve in South Africa, making it the perfect destination for a safari. Kruger is home to one of the largest ecosystems in Africa and offers a true once in a lifetime experience. Encounter lion prides, alligators and elephant herds in their natural environment, then visit ancient archaeology sites such as Thulamela and Masorini. Famed for its greenery, crystal blue waters and beautiful views, the Garden Route covers the south-east cost of South Africa. This is a perfect destination for a relaxing and peaceful holiday. Visit artist communities and museums, hike through forests, or escape in a remote beach or mountain getaway. This is also a great location for sports enthusiasts with golf courses, sailing, paragliding and cycling routes. The town of Knysna is a must see here where you can visit the picturesque lagoon or spend a day at the Featherbed Nature Reserve. The third largest city in South Africa, Durban offers vibrant city life. Durban is also a home to the Golden Mile, a shark free zone that boasts huge waves, making it a popular surfing haunt. There is an abundance of shops and restaurants here, as well as a zoo, a marine world, botanical gardens and day safaris, so you will never struggle to find something to do. South Africa is a destination with something to interest everyone. Book cheap air travel with Flight Centre and enjoy a holiday that you’ll never forget. Seen as one of the most beautiful beaches in Seychelles, it is tucked away in a nook of the coast that creates a peaceful and secluded environment. With crystal clear blue waters, blue skies and vividly green leaves, it looks like somewhere out of a painting. You won’t catch the smog of traffic here, as it’s inaccessible by car, you’ll have to plan a hiking trip to get here! The trail runs through the Constance Lemuria, which has beautiful and heavy vegetation surrounding the resort, so you can imagine the allure that lies behind the trees. Located on the Praslin Island, this serene beach is a perfect destination after a long hike. A beautiful religious site, this South Indian Hindu temple features gorgeous architecture, which pays homage to its cultural roots. Noted as one of the most colorful in the region, it’s located smack dab in the middle of the town for all eyes to see. But for more of a backstory on this beautiful area: this temple was dedicated to Lord Ranganatha and is a very praised shrine that millions of visitors come to see each year. 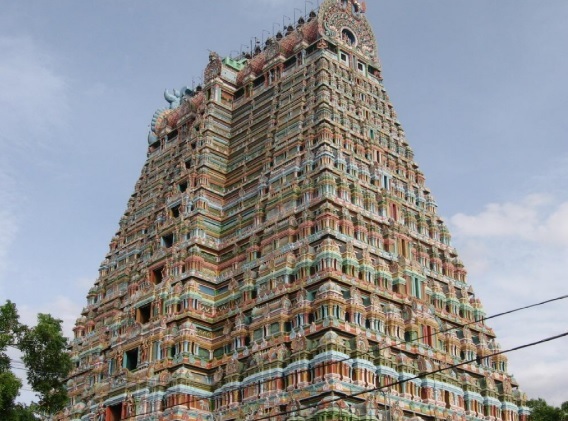 It is also one of the largest temples in the world. Towering over the trees with vivid colors and intricate details, it’s inspiring. Taking up about 156 acres, this temple dates back to the 10th century. When you visit, make sure to ask of the many legends that have this temple set as a scene. It will give you great vision on the history and culture of the area. Located in Quincy St. Victoria, Mahe Island in Seychelles, this is one location you don’t want to miss. This wouldn’t be a complete list without somewhere to grab a bite to eat! Located on the gorgeous port Launay, you’ll have beautiful views of the coast, crystal clear waters and an island. But the restaurant itself is in a wooden house that hasn’t been changed for almost 100 years. 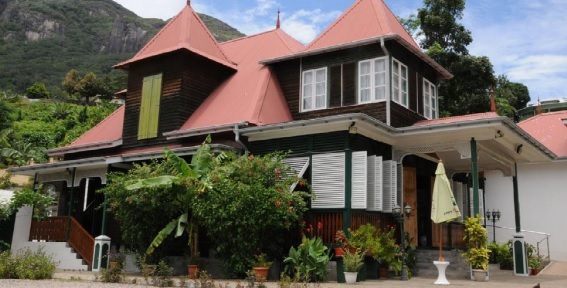 Noted as a national monument, the Marie Antoinette Restaurant is one of the top eateries in Seychelles. Opened as a restaurant in 1972, the Marie Antoinette is one of the few in the area that has the original architecture and design. Declared a national monument in 2011 and has been a standing structure for over 100 years, it was previously named “Le Grand Trianon”. No vacation is a vacation without escapades by a waterfall. Near the Constance Ephelia resort, this is located at a beach at the Port Launay as well. Less than a mile walk from the road, this beautiful water is serene, calming, and surprisingly peaceful despite it not being buried in the woods, away from life. 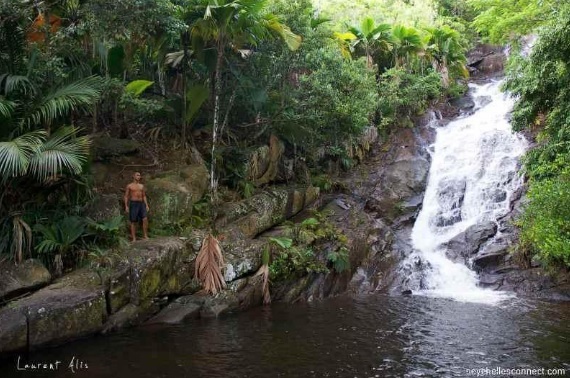 When you go swimming at this beautiful location, you’ll be surrounded by a jungle and you can follow the waterfall into a natural freshwater pool. Not only will you get a taste of the natural plant life of Seychelles on your hike, you can discover different species than ones known to your homeland. If you want to continue hiking, you’re able to run alongside the entire river until the end thanks to trails and natural paths along the way. 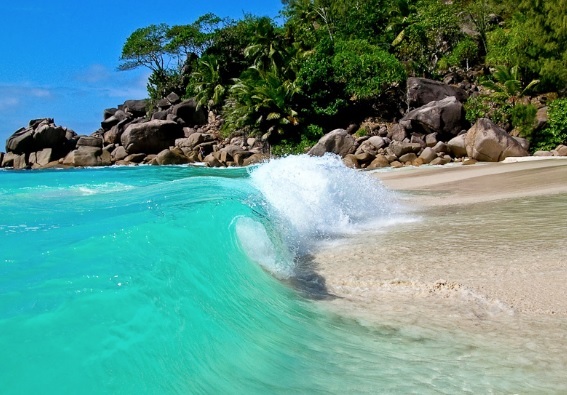 Adventure waits in Seychelles! Seychelles isn’t your typical resort vacation. Like Mauritius, it is a African archipelago with an exotic identity that separates it from your typical vanilla holiday experience. Here, you can see the beautiful natural vegetation that surrounds the region as well as dip your toes into beautiful crystal clear waters. You can also become cultured in their religious architecture as well as get your fitness on during hikes through Seychelles’ beautiful jungles. If you are like most of the people out there, you want your wedding to be one of the most special and beautiful moments of your life. You want to create memories you will look back to and smile many years from now. You want to really make the most of it. And while organizing the wedding proper is, of course, very important, there will come a moment when all the guests will leave and you will want to go with your new spouse to some romantic place where you can really celebrate your wedding – this time, just the two of you. 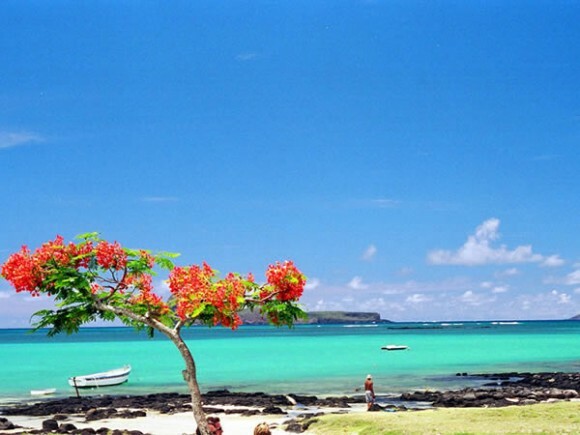 Specialist honeymoon packages to Mauritius are probably among the best choices out there. Luxury, perfection and overwhelming, stunning beauty – these are the things you should expect to see. And, on top of that, there will be a lot of ways in which you and your spouse can pamper each other – so this destination does make for the perfect honeymoon treat. If you take a look on the map, you will notice that the actual Isle of Mauritius is a very small and easily unnoticeable one. And yet, there is so much beauty hidden on its surface! 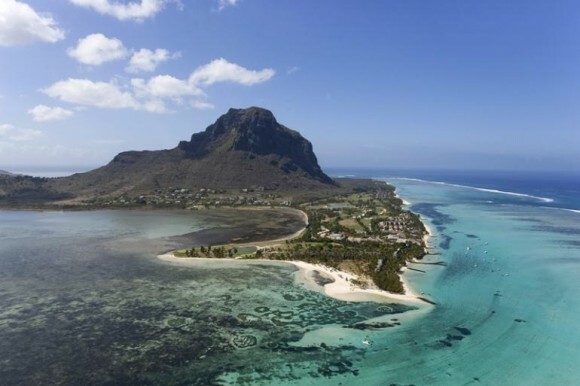 The Republic of Mauritius includes this isle, as well as Rodrigues, the archipelago of Saint Brandon and the islands of Agalega. The history behind these isles is a very tumultuous one and you will see traces of all the people who inhabited the islands in their culture and customs. Apparently, the first ones to come here were the Arabs, during the Middle Ages. Following them, the Portuguese came as well, but they did not stay long because they were not interested in these islands. The Dutch set foot here in 1638 and they were the ones to name the island as well (after Prince Mauritius of Nassau). In 1710, the Dutch left the island and, soon enough, the French claimed it for themselves (and re-named it Isle de France). During the Napoleonic Wars, the British took the island themselves and offered people here their independence in 1968, including it under the Commonwealth Realm. With such a history, it is only natural that the people here are multicultural, multi-ethnic and, in most of the cases, multilingual as well. There are Indo Mauritians here, Creole Mauritians, Franco Mauritians and some other ethnicities as well. And most of them speak English, French and South and East Asian languages as well. This is a perfect spot for a honeymoon, and not just for one reason. The breath taking scenery, the perfect service, the possibility to go on a romantic sunset cruise, the option of attending luxury spa treatments together with your significant other and simply the fact that you will be surrounded by Mother Nature’s crème de la crème – all these things make Mauritius absolutely perfect for any newlywed couple. 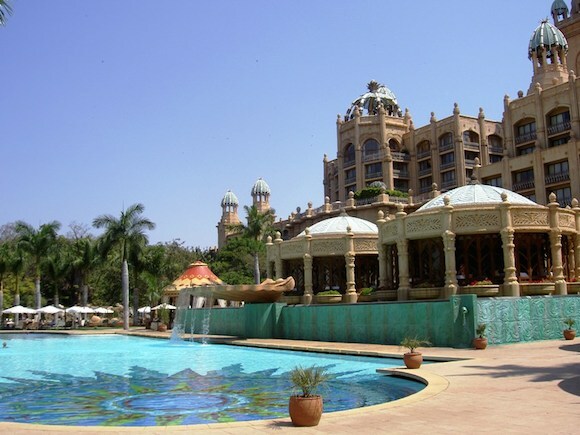 Sun City Resort is South Africa’s largest holiday resort, famous world-wide for its varied entertainment opportunities. The luxurious resort is suited for any type of tourists. Families with children, couples or single travelers looking for some quiet moments for themselves or for business opportunities can find it all here. Sun City offers to its guests special deals and packages, designed to satisfy the client’s needs and expectations in detail. There are three packages which include one of the four accommodation places and a few of the local attractions. There is the Sun City and Safari pack which includes accommodation in the elegant Cascades Hotel and a 8 days long safari which offer the opportunity to see wild animals in their natural habitat. The Cabanas and Zambezi Sun package was designed with families in mind. It features tours to Victoria falls and accommodation at the Cabanas, being the best pick for travelers who look for a great value for money package. Honeymooners can indulge in a 6 days vacation and a romantic stay at the luxurious Palace of the Lost City hotel. Sun City provides the best golfing courses in Africa, designed by a professional golf player. One of the courses was named by its creator, Gary Player, while the other one is romantically called The Lost City Golf Course. Both have challenging sections for every golf player, either a pro or an amateur. Located inside the Sun City hotel, the casino offers gambling opportunities for all players. It features card games, slot machines and private saloons, where experienced players can get the game to another level. Sun City Casino also offers a unique service as it teaches guests to gamble for free, at the Sun City School of Gaming. Groups can benefit from the “Fun Evening” packages. Those visiting Sun City resort should know that they care gamble online too. If you would like to play some quality poker but you don’t have the time to attend the School of Gaming you can always watch the online tutorials and step into the poker rooms at Full Tilt Poker. There are numerous gaming opportunities and you will be surprised to see that if you are visiting from USA this is one of the places you can gamble online. The pumping heart of the Sun City resort is the water park The Valley of the Waves. It offers many water slides, from the scaring rides of 17 meters to the laziest water slides which can provide fun hours for children. The water park also has an artificial volcano which erupts regularly, a sandy beach washed away by artificial waves and an impressive collection of trees and palms. Sun City is a luxurious green oasis in the middle of the South African dessert, but there are plenty of animals to see, as the resort is placed near two big natural reservations. 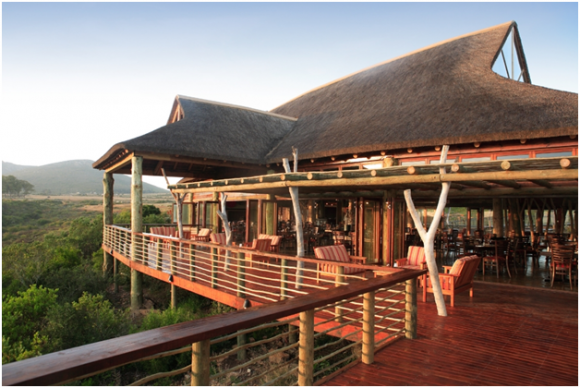 The guests of Sun City can enjoy game viewing during a safari in Pilanesburg Game Reserve or Madikwe Game Reserve. Experience a Holiday of a Lifetime in South Africa This Year! There’s no doubt that South Africa is one of the world’s most spectacular countries, with it’s vast open landscapes, beautiful beaches, amazing cuisine and wonderful people. Not only does it offer a range of hotels to suit every budget, but the number of fantastic attractions in proximity to the city as well as the shoreline allows tourists to experience a vacation adventure like never before. Whether you’re travelling with your family, with friends or on your own, South Africa is certainly the place to go this year, so let’s take a look at some of the country’s top attractions! The spectacular valleys of Cape Winelands are one of the country’s iconic landscapes, visited my thousands of tourists every year. Home to sleepy villages, historic monuments, and most notably vineyards, there are plenty of tours available to experience some of the grapes produced here. The wine from Cape Winelands is known all over the world, and you won’t find a restaurant in South Africa that doesn’t stock a bottle or two! Although the fields are only accessible by car, you’ll have plenty to see here if you’re looking to spend the day, and many of the local villages actually make their own cheeses too – another way to keep the hunger at bay. This is one of Cape Town’s most visited natural attractions, and if you’ve ever been to South Africa before, the images taken here are used in a variety of post cards sold at local markets or in shops. This harbour was once one of Africa’s main shipping points, and although it’s more a cruise ship dock nowadays, it’s the history behind the attraction which invokes tourists to flock here. 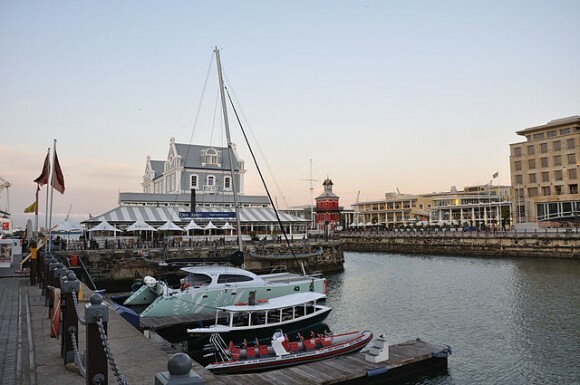 With a number of maritime museums to experience, as well as restaurants offering the freshest fish, the Victoria and Alfred Waterfront is a must-visit location in South Africa this year. Stretching from Mossel Bay to St Francis, The Garden Route is a beautiful stretch of shoreline visited by millions every year. As you walk further inland, your tour of South Africa just gets better and better, as you’re introduced to spectacular water falls, fresh water rivers, forests and tranquil lakes, all of which leave you feeling humbled. The beaches offer a variety of activities, and they’re also overlooked by a fabulous array of restaurants, so you’ll never have to walk far for experience iconic South African cuisine. Holidays to South Africa are becoming more popular with tourists of all ages, so if you’re looking for great deals on flights for the entire family, see here! If you’re looking for some exciting wildlife on your trip to South Africa this year, then the Kruger National Park is the place for you. With guided 4×4 tours, as well as animal ‘meet and greets’, this park is the largest game reserve on the continent, experiencing millions of visitors every year. From giraffes to cheetahs, rhinos to elephants, there’s so much to see here that you should ensure to charge your camera. Furthermore, it’s the perfect place to end your holiday to South Africa, especially if you’re travelling with the kids! Going on an African Safari with your family is one of the most rewarding and exciting holidays that you can possibly have. Nevertheless, keep in mind that a vacation like this needs a strong budget. Africa is a beautiful country and South Africa attracts many tourists due to its fantastic landscapes and excellent safari opportunities. Not to mention ‘the Big Five’, which refers to South Africa’s greatest wildest animals –lion, leopard, buffalo and rhino, which make this region to be a true African jewel. 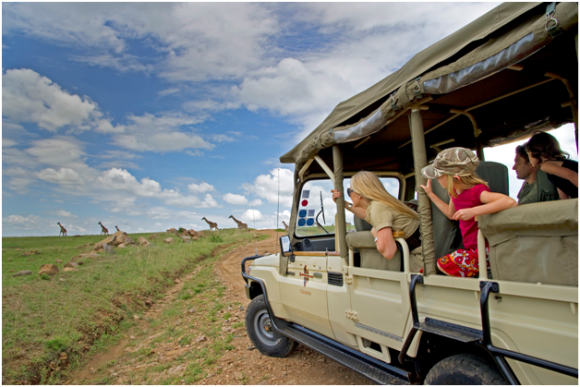 South African safaris are a wonderful choice for families looking to have a blast and a holiday to remember. It’s great for families with young children because they can actually explore the wildlife live and Africa’s incredible fauna, seen only on pictures and on television before. The roads in South Africa are in excellent condition and you have the possibility to rent a car and set your own holiday schedule. You can make stops whenever you want, let your kids see the wonderful show that nature has to offer, return to your hotel when kids need a little nap and then plan the rest of the day discovering amazing wildlife parks. Depending on your travel budget and on your family’s choice you can visit South Africa by opting for a holiday that’s tailor made for you. You can book a luxurious safari that starts in Cape Town and ends with the lovely national park Kruger, which is absolutely breathtaking and a true wonder for children. In general, these guided safaris have various activities included in their tours, such as whale-watching, horse-riding and beach-combing family fun times. However, if you’re on a tight budget, you can simply hire a car and explore the area by yourself. Or just book a small trip instead of an entire holiday. There are many options when travelling to South Africa. Ask your travel agent about the variety of possibilities and tours this region has to offer. While travelling to South Africa you’ll be mesmerized by the amount of small and private wildlife parks that you’ll discover. There you can observe the animals, stay for a couple of nights, play games with your little ones, enjoy a nice day by the swimming pool and end your day with a delicious dinner. The Garden Route and Eastern Cape are excellent choices for activities like these; they are filled with beaches and game parks that will catch your kids’ interest in no time. 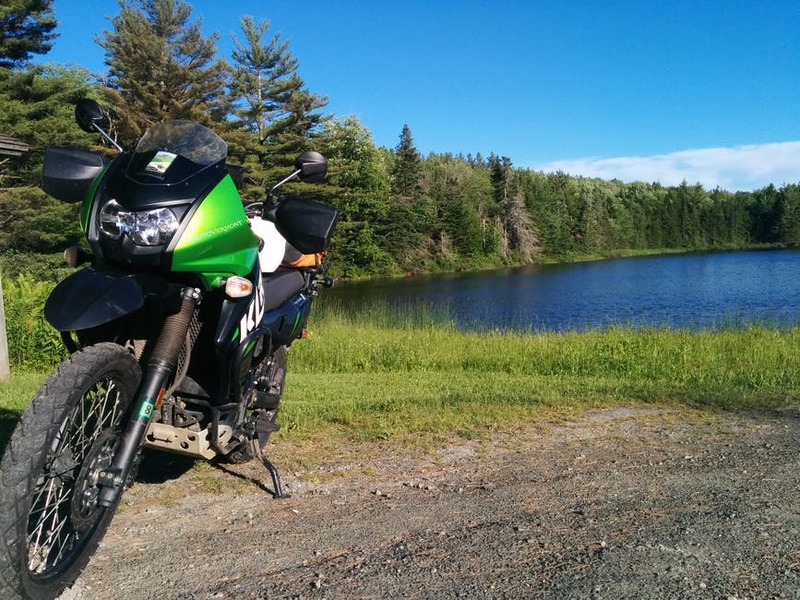 Posted on 12 June 2013. Sharm El Sheikh has a reputation for being a popular holiday among UK holidaymakers due to its great features, one of those being the perfect holiday weather. Getting away from dismal UK weather is high on the lists of many Brits during the summer, and Sharm El Sheikh provides a stunning location for this. Sharm El Sheikh is located on the southern tip of Egypt, 500 km from Cairo. Holidays are also popular here because of the Red Sea, which is a great place to explore and take part in diving. The beach is an attractive feature, and can be used for either relaxation or to make the most of the water activities. This is why it is such a great location for families, as there is something for everyone to enjoy. Certainly, the sandy beach continues to be one of the main attractions of the place. Many tourists make the most of the sun by spending their days lazing on the sand and catching the rays. Unlike in the UK, Sharm El Sheikh’s sun is out all year round, so it doesn’t matter when you visit, you will always experience the heat. Due to its luxurious reputation, there are many hotels around to choose from, many of which will give you the easiest access to the best locations, including the beach. There is a hotel suitable for all types of holiday guests, from singles to families, and these range from great value bed and breakfasts to five-star hotels. The Aqua blue water park is a family favourite day out, and can be scheduled around your lazy days on the beach. 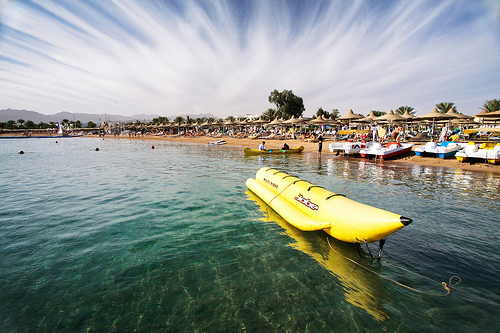 Since Sharm El Sheikh has grown into one of Egypt’s super resorts, it provides many things to do for people of all ages. 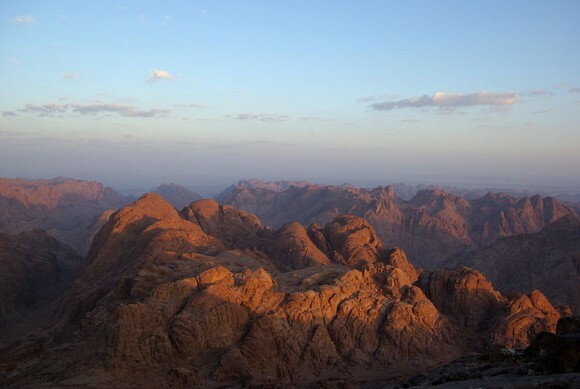 It is particularly well known for its natural attractions too, including Mount Sinai. Alternatively, if you are looking for a more active holiday, Sharm El Sheikh provides that too. There are plenty of night clubs, casinos, golf activities, and more to enjoy. Whatever your agenda, Sharm El Sheikh is a comfortable, relaxing holiday location that makes for the perfect getaway this summer. Another benefit of Sharm El Sheikh is that it is a Mediterranean style holiday boasting a lower cost than other similar resorts. You can get all the sun, sea and fun for a more affordable price. Co-op Travel is there to provide affordable holidays to Sharm El Sheikh, as well as advice on the best activities to take part in during your stay. 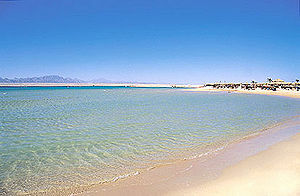 On a small peninsula looking out over the pristine waters of the Red Sea is the exclusive Egyptian resort of Soma Bay. Featuring some of the best diving in the region, an 18-hole championship golf course, premium spas and seawater therapy centres, it’s gaining a reputation as a truly luxurious holiday destination – so let’s take a closer look at what this resort has to offer. 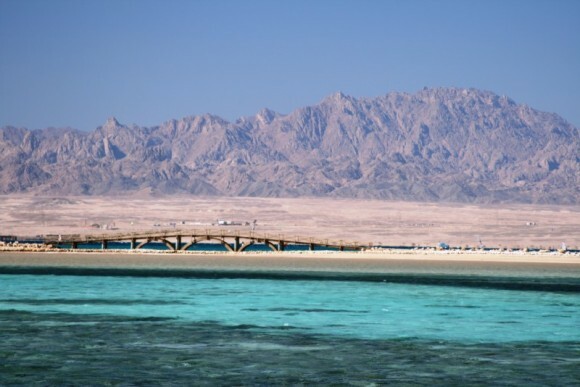 Soma Bay can be found on the Red Sea Riviera, about 45km from Hurghada International Airport. It’s home to some of the Red Sea’s most spectacular sandy beaches and enjoys year-round sunshine, with temperatures generally ranging from 20 to 30 degrees C. The peninsula has been developed as a resort over the last 16 years by the Abu Soma Development Company. Soma Bay has five hotels and resorts to choose from – perhaps the most prestigious of which is the Kempinski Hotel Soma Bay. The first hotel from the luxury Kempinski chain to be built in Egypt, it’s modelled on a Moorish fortress and features a private sandy beach, a dive centre and most famously its own system of swimming pools and lagoons spread out over seven kilometres. Soma Bay’s reef extends for several kilometres and is rich with a variety of marine life, including morays, crocodile fish, barracudas and thresher sharks. This makes it a particularly great location for diving and snorkelling activities: Panorama Reed and Abou Kafan are among the best spots to experience the underwater landscape, as well as the famous (or infamous) Salem Express Wreck. Designed by South African champion Gary Player, the Cascades golf course at Soma Bay is one of the finest in Egypt. The 18-hole, par 72 course offers stunning views of green fairways amid the surrounding desert and the crystal-clear sea beyond. Adjacent is a nine-hole Golf Academy course that’s ideal for less experienced golfers, also designed by Gary Player. The Red Sea’s thalassotherapy (sea water therapy) facilities are world-renowned, and Soma Bay has some great spas where you can receive all the massages, body scrubs and face rituals you desire! You can experience the health-giving properties of seawater and seaweed at Les Thermes Marins des Cascades, an extensive spa that can be found on the main resort complex. Be as quiet possible at all times (this is extra important if you’re considering taking small children on safari). Avoid making any noise that will attract or frighten wildlife. Be as unobtrusive as possible: wear the neutral coloured clothing (khaki, white, light brown) while walking in the bush. Dress and behave respectfully to avoid offending local people. Do not litter – everything you carry in you must carry out. Aside from the environmental damage, litter can be harmful to the wildlife. Waste disposal can be difficult in remote areas – remove all unnecessary packaging before you travel. 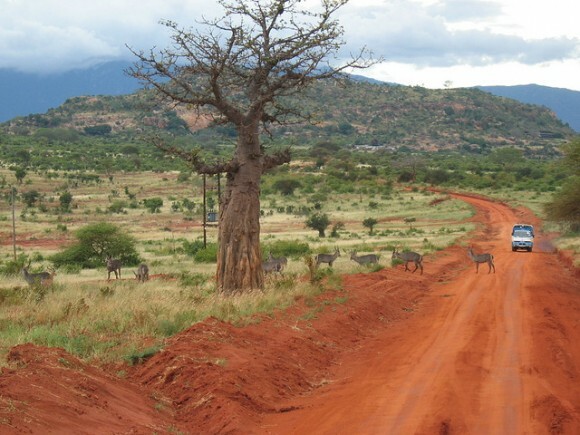 Don’t encourage your guide to take you too close to the animals or to change the driving route; they will feel pressured. Remember that they are the professionals and know best. Never pick plants and flowers. Obey all game laws and regulations, and respect the fact that your guide must also obey these rules. Do not buy or trade for any articles covered under the Convention on International Trade in Endangered Species (CITES). 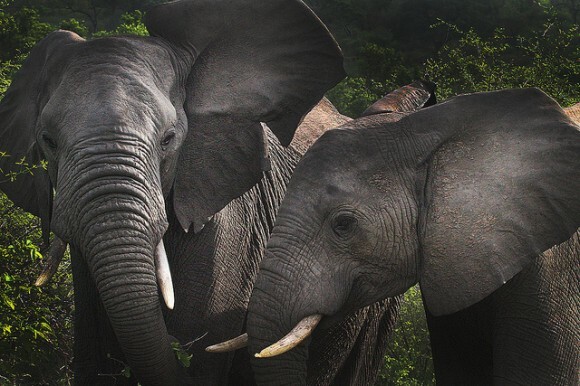 These include ivory, turtle products, rhino horn, furs, butterflies and many plant species. Support the community by buying locally crafted souvenirs. Haggling is expected, but be aware that what may seem to be a very small sum to you can make a big difference to a local, so don’t force them into reducing their prices too drastically. If you wish to make a charitable donation – such as writing equipment for students – it’s better to give through a local organisation or school, as handing things out on the street encourages begging. As a courtesy, ask before you take a picture of someone, but think twice if they request payment. Be aware that water is a scarce resource in many places, so use it very sparingly. Sign up to Tourism Concern’s WET pledge to support the organisation’s campaign to ensure water rights are protected. By observing these suggestions (many of which are simply common sense), you’ll find yourself at ease with locals and your surroundings. Avoiding tension or embarrassment with the locals, and respecting the animals and their habitat will mean that your safari holiday is a better experience for all involved. Vivienne Egan writes for Safari Consultants who offer safaris to Botswana, Kenya, Zambia and more.